Children and adults will learn and develop ringing technique, music theory and reading skills as well as the responsibility of being a member of a team. Individual experiences are expertly tailored to allow ringers of varying levels of skill to work together successfully and to challenge each member to grow in their musicianship. In addition to the joy of making music with others, this fun, physically and mentally challenging activity helps to develop and maintain coordination and mental acuity. $67.50/month for each additional family member. Tuition may be paid in a lump sum at the beginning of the year, or monthly automated electronic payments may be arranged ($75/m). 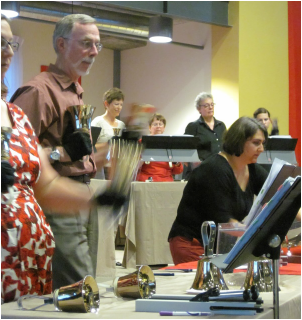 Ringers referring new members will receive a $50 tuition discount. 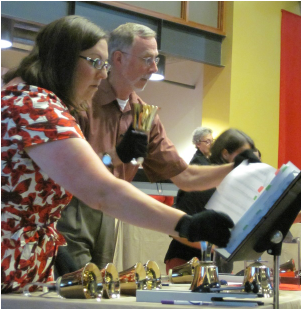 By joining TRS, ringers are committing their time and energies to the choir for the September-June season and are expected to participate in all rehearsals and concerts. *Additional one-time expenses, including uniforms, are not included in tuition.